Each spring, The Coterie premieres the Young Playwrights' Festival, an evening showcasing new works by some of Kansas City’s most talented teen playwrights. It is a full production of rich and varied theatrical writings created and developed by members of our Young Playwrights' Roundtable. The Coterie's Roundtable brings together students from around the Kansas City metro area who have emerged from our Reaching the Write Minds program as promising young writers. The Roundtable offers these young people a year-long writing and development process through which their ideas are curated into a collection of new works. Selected pieces will be performed in script-in-hand stagings utilizing students from The Coterie's Master class program and professional directors. Created by Coterie artistic director Jeff Church when he was playwright in residence at the Kennedy Center, Reaching the Write Minds is a unique dramatic writing program which gives a voice to emerging teen playwrights. Nearly 400 students each year participate in this specialized, dramatic writing workshops scheduled by schools and taught by our professional facilitators. Following the in-school workshops, selected students continue on (free of charge) to the Young Playwrights' Roundtable.  Each spring, The Coterie professionally stages works from the Roundtable members in its annual Young Playwrights' Festival.